Want a healthy and delicious on-the-go breakfast option? A pineapple parfait is good. So is a kiwi parfait. But if you want something extra special, combine these two fruits and make a simple, yet refreshing and tasty kiwi and pineapple parfait! Topped with shredded coconut, this is a perfect parfait when you’re in the mood for some tropical flavor. Give it a try and then share the recipe with friends and family on Facebook, Pinterest, Instagram, and Twitter. 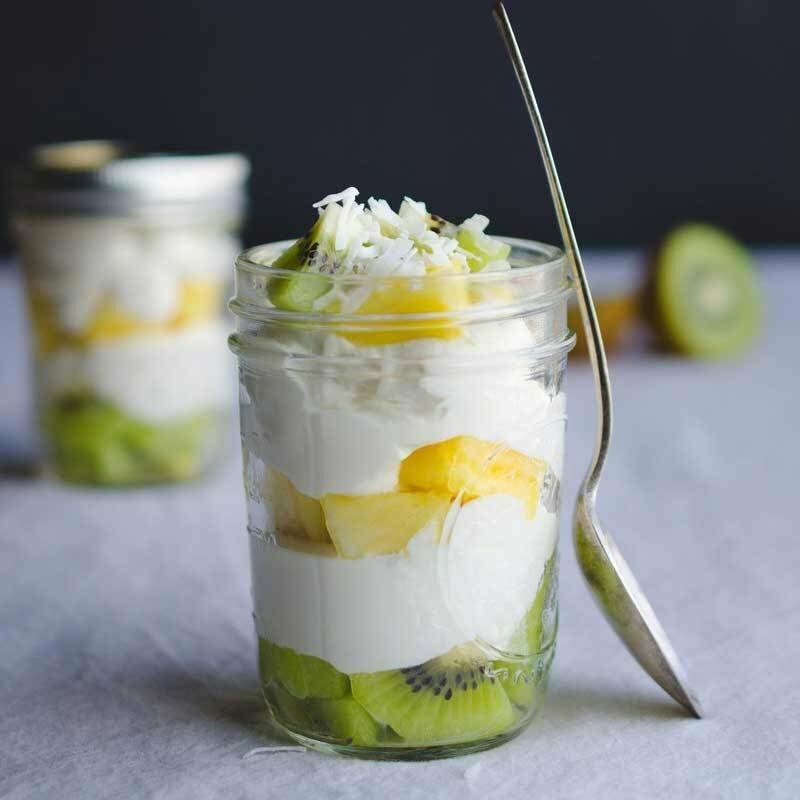 For one serving, you’ll need ¼ cup Cabot Plain Greek Yogurt, 2 teaspoons honey, 1 ripe kiwi (peeled, sliced, and quartered), ¼ cup fresh pineapple (diced), and about 1 tablespoon of unsweetened shredded coconut. Combine the yogurt and honey in a small bowl and, in a 6 to 8 ounce jar, alternate layers of kiwi, yogurt and honey mixture, and pineapple. Top off with any extra fruit and shredded coconut. While this parfait is easy to prepare even on busy mornings (especially if you have the fruit cut up ahead of time), you’ll save even more time (and not have to think about breakfast at all) by preparing it in advance and just grabbing it when you’re ready to eat or grab while heading out the door. If you’re going to make it ahead of time, just prepare as described above, seal the jar, store in the refrigerator overnight, and grab the next morning (it stores well for one day). Looking for another great fruit parfait recipe? Try our Maine Blueberry Parfaits, made with fresh blueberries, Cabot Plain Lowfat Greek Yogurt, and granola. Cabot is a cooperative of over 1,200 farm families. We continuously strive to produce the best dairy products that are around. If you enjoy our Kiwi and Pineapple Greek Yogurt Parfait, we’d appreciate if you could rate and review the recipe. COMBINE the yogurt and honey in a small bowl. ALTERNATE layers of kiwi, yogurt and pineapple in a 6 to 8 ounce jar. Top off with any remaining fruit and sprinkle with coconut. Tips: Prepare the parfait and refrigerate in a sealed jar overnight for a quick on-the-go breakfast. Stores well for one day. This recipe is awesome!! 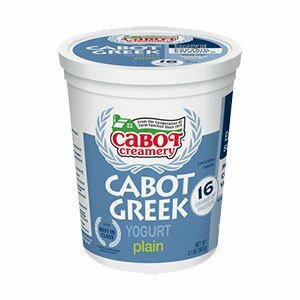 My kids love kiwi fruit and Cabot Greek Yogurt is a staple in our fridge! Great combo...thanks Cabot! !